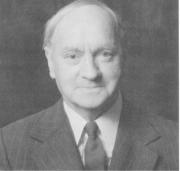 Hector McMillan was secretary of the Sandy Row and Lower Donegall Road Redevelopment Committee. He was Chairman of the Mid-Donegall Road and Sandy Row Tenants' Association. He was a prominent member of the Orange and Black Institutions in the Sandy Row District, and Treasurer of the Sandy Row Arch Committee. He was one of the founders of the Shaftsbury Credit Union. He served in the Ulster Special Constabulary and the Royal Ulster Constabulary Reserve and was an elder in Great Victoria Stree Presbyterian Church.